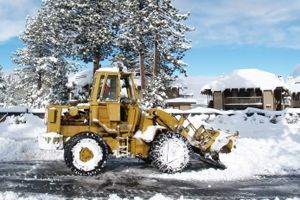 Where do you need Snow Removal Services? Comment: I would like the driveway plowed and the walk cleared wide enough for someone to walk up to the front door including the steps when over 3 inches of snow falls. Comment: I'm a homeowner at 935 N Denny St 46201. I'm interested in a contract to clear my street when there is more than 1-2" of snow fall. specifically N Denny St between 9th and 10th Streets, and E 9th St between N Denny and N Sherman Dr. If interested, please quote a price. Serious inquiry, thank you. Comment: I live in a duplex area and several of us are interested in setting up a service to remove snow from driveways and sidewalks. Interested in learning how expensive this would be. Thank you! Indianapolis Snow Removal Services are rated 4.73 out of 5 based on 343 reviews of 21 pros. Not Looking for Snow Removal Service Contractors in Indianapolis, IN?